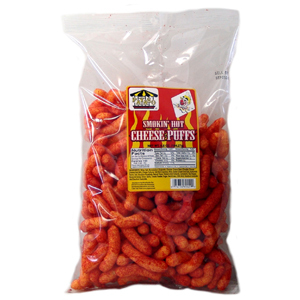 Payaso Cheese Puffs are a delicious way to entertain your guests in a party, use at the beach, the park, during work, lunchtime. They are fresh and crunchy with the added zest of flavor. This product is baked ,not fried. Enjoy.